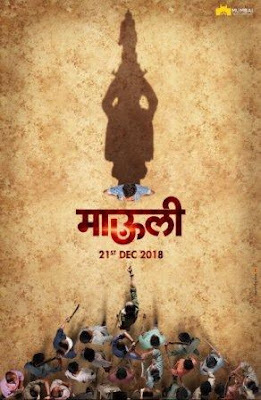 Actor #RiteishDeshmukh unveils the first look poster of his forthcoming social drama film, #Mauli along with release date for the film. Mauli which is produced by Riteish and wife Genelia Deshmukh's production company will be releasing on December 21. The actor Riteish took to his social media profile and shared the poster and release date. The film will be hitting the screens, this year on Christmas on December 21 and we all are very excited for Ritesh to blow us away with his acting skills once again. The film is directed by Aditya Sarpotdar, who had also collaborated with Riteish in his last production venture - Faster Fene. The music of the film is crooned by Ajay Atul and we simply cannot wait for the release of the film. Riteish Deshmukh is also committed to Housefull 4 and just wrapped up the first schedule of the movie in London. The film boasts an impressive ensemble of Akshay Kumar, Bobby Deol, Pooja Hegde, Kriti Sanon and Kriti Kharbanda. The film is helmed by Sajid Khan and produced by Sajid Nadiadwala.